Great post – it’s of interest to me because I have just started a blog of my own. The issue i’m finding as of current, is being able to write posts at least three times a week. Where do you get your inspiration and ideas from? I seem to be able to write detailed and informational posts, but finding new content to write about in such mass is a hard (not impossible) task. Cheers. It’s an ongoing battle, but I take notes on my phone when I think of something and try to have at least 3 that are ready to write. Keep your ideas jotted down in a notebook so you don’t forget. As it’s a photography blog, I carry my camera everywhere so that i’m always taking photos that can be used on the blog. Thanks for sharing these tips, I was like you too at first thinking if I wrote it that would be enough, but the marketing part is the key, I now spend much more time marketing my websites than writing content for them. 10 guest posts are better than 10 posts on your own blog as far as I’m concerned. Thanks so much for the awesome post Josh! 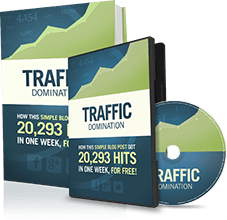 You made a great point about the importance of choosing the right domain name and I just started a niche site that is starting to get results quickly, especially from search engines – what I’ve noticed is that the more related your domain name is to your keyword, the more traffic you can get from Google. thanks for sharing this…nice info..
my priority is the domain and blog design because it can give the first impression to the visitor.. Thanks for the tips. That is one huge problem I have, is not writing enough content. I have become wrapped up in my career, and put my own assignments on the back burner. I think now, though, that I will really start to put an hour a day aside to focus on my blog, since that is the thing I want to succeed at more than anything. That is the spirit… I think the secret of being successful is to fail and learn from it. No one wants failure so the tendency it to work harder and smarter. Ahhh I’m making many of these mistakes on my blog. Great post very useful. I will agree with Josh that getting a solid theme is crucial and posting consistently is probably the one thing that keeps people from leaving me once they start following me. When I feel like writing less, I remind myself that if I keep doing it, eventually I’ll see several hundred RSS subscribers and maybe eventually thousands. Thank you so much for writing about this in details, as usual the Dunlop brothers delivers-over delivers when explaining things. I have been following Michael for a while now and my first thought was; wow he really tells you what and how to do it all! Keep up the good work guys you are fantastic!!! Hi Josh, first time commenting, I´ve been following your page for about a week and I got to say is great! I´ve started a blog about 1 month ago and I look to monetize it in the future but so far since I´m not getting enough visits I want to keep it clean and keep my fans and get new ones maybe easily. Anyway, I wanted to ask you if you know a way on how to configure Google Analytics to ignore the visits from your computer or IP address as I´d like to get real data and ignore all those visits I do during the day. BTW, my website is in spanish but if you have time and would like to check it out for a minute is http://cuerpoaldente.com – Its about fitness and nutrition 🙂 comments are welcomed! I’m totally agreed that domain name should be good enough to attract visitors and search engine too. As for as content posting is concerned you have to be consistent whether it is once a week or 7 days a week. Thanks for sharing several other points too which are very important. 2-word domain names are very good for a good perception on your blog’s value. Long tailed ones portray to an extent inexperience. I am sometimes guilty of not really creating a community around my blog… Thanks for reminding me. I also have this theme. Th e problem is that it says to change the Permalink setting and I f i do so, my links does not show my article. Previous articles give error. Great post as usual. You give us all a lot to think about by showing us your past mistakes. Great advice Josh. 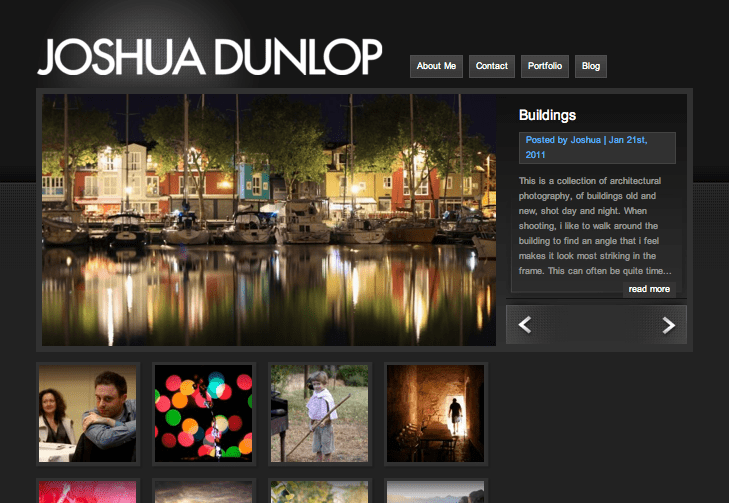 I have watched your new photography site grow over the past few months and I think you and Michael are doing an outstanding job with it, which was of course to be expected. Thanks for great inspiration. If it wasn’t for you Michael (and Josh) my blog motivation was like zero! God willing I won’t be making any of these mistakes on my blog since you’ve clearly stated it here. If you know and ubderstand the ‘rules of the game’ anything in life becomes easier. There seems to be so much mystery surrounding blogging – so thanks for shinning some well needed light on the subject. Content takes a lot of discipline and a good plan to keep you on course. This is a great article Michael. You’ve been such a help to me, whether you knew it or not, as I’ve created my own site over the last two months. I wish you and your brother much luck! Hmmmm….I agree with every point but point #1. When you go with a name that doesn’t automatically reveal the market, then you just need to lean more heavily on branding. The benefit of actually making your name synonymous with your market is that it becomes instantly recognizable as part of the market. The gratification is delayed, sure, but the payoff is much better in the long run. My opinion though. I see the benefit of both. Great Sharing, Thanks Josh and Michael, I feel that the poor writing is the main thing that affects the progress of the blog because as we already know that “CONTENT IS KING”. The posting regularly does make a huge difference. On some of my niche sites that are more competitive, I’ve found that the main thing that keeps me in the top 5 in Google is posting at least 3X a week. That’s definitely not to say that’s all you have to do to rank high, but once a site gets up there and you’re competing with other blogs, you better be posting new content on a regular basis if you want to stay there. great post josh, it took me a full year to realize that what i was doing as a blogger simply didnt work. Design is an underrated aspect still. Very good article! As a newbie, it’s a useful guide and a reminder. 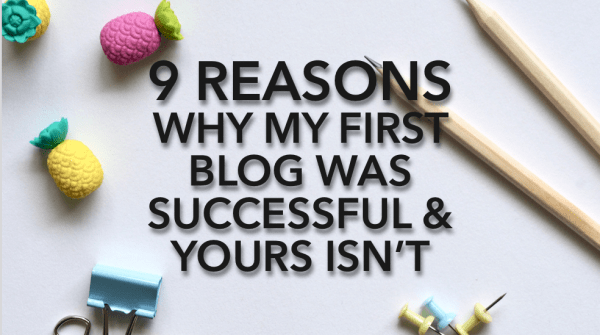 For those who are already into blogging for a while and still not successful then this post is perfect as well to weigh things out why they did not succeed. I can relate to this post very well, since I just started a blog 2 weeks ago. This will be bookmarked to keep me ahead and staying in the right path to success.